Staging is a key facet of any performance. 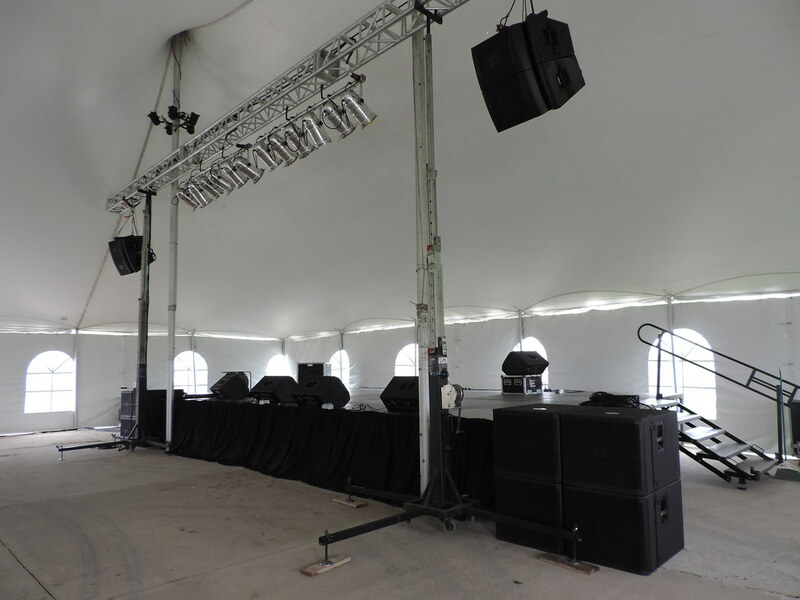 Whether you need a small platform for presentation at a conference or a larger setup for an outdoor concert, the stage provides the ground beneath your feet. 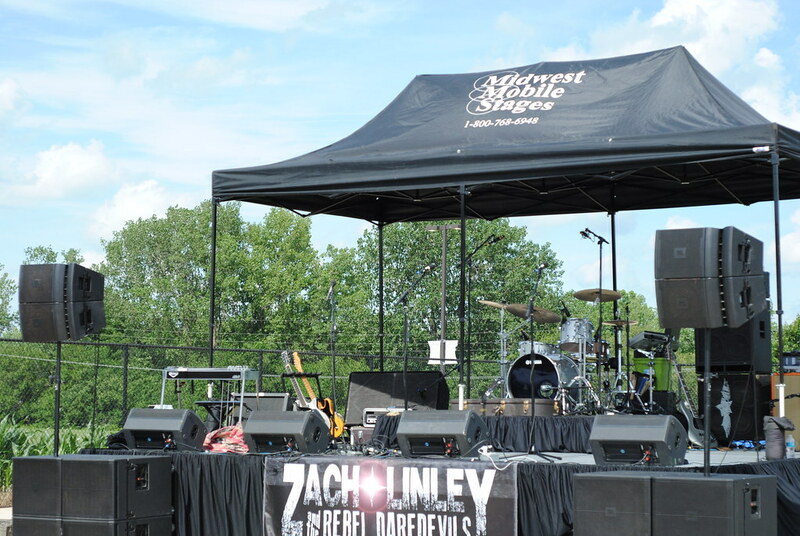 MMS Rentals and Productions has been a trusted name in stage rental for events in central Illinois and the Midwest alike for over 20 years. Indeed, MMS stands for Midwest Mobile Stages. We provide high quality, reliable service and materials to create the ideal foundation for your production. We are one of the premier providers of staging equipment including hydraulic mobile stages, portable stage decks, crowd barricades, ADA ramps, as well as truss rigging and roof systems. From fundraisers to festivals and speeches to theatrical performances, we are outfitted with the tools and expertise to meet your needs. We are ready to provide crowd barricades for any event or performance. MMS has provided crash style crowd barricade for large festival concerts for years. In addition, we also carry an extensive amount of bike rack style barricade that is perfect for street events and local festivals. MMS Rentals is proud to provide ramps which conform to the standards set forth in the Americans with Disabilities Act. We are ready to assemble ADA style ramps for any size stage which include guard rails, handrails, and landings as needed. We can also provide performance risers suitable for choral performances, drum and keyboard risers, theatrical designs and more. Our stage and choral risers provide the best line of sign for any performance to make sure any performer is visible at all times. Truss systems allow for diverse and versatile performances. These structures provide reinforced points from which to secure high quality audio and lighting equipment, banners and advertisements, roof systems, as well as decorations for safe and unique designs. 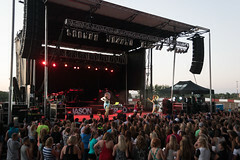 Their versatility also allows them to be designed to accommodate any venue, performance, or event. Our engineers can devise and construct truss structures, outdoor roof coverage, and rigging systems to almost any application or request. Contact us today to discuss your needs for potential trussing or rigging structures. 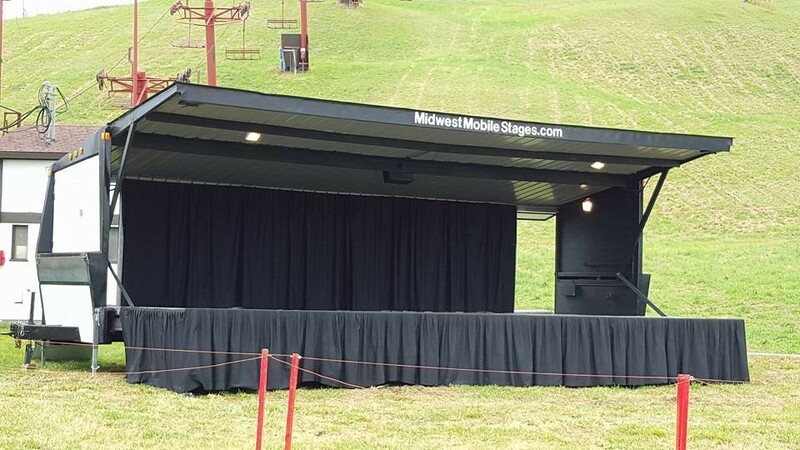 We have access to a wide variety of hydraulic mobile stages for outdoor festival and touring concerts and events. 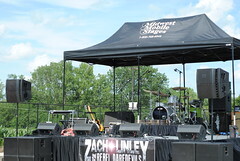 Hydraulic mobile stages provide a professional looking, festival style platform that will transform any parking lot, street, field, or backyard into an arena rock show. 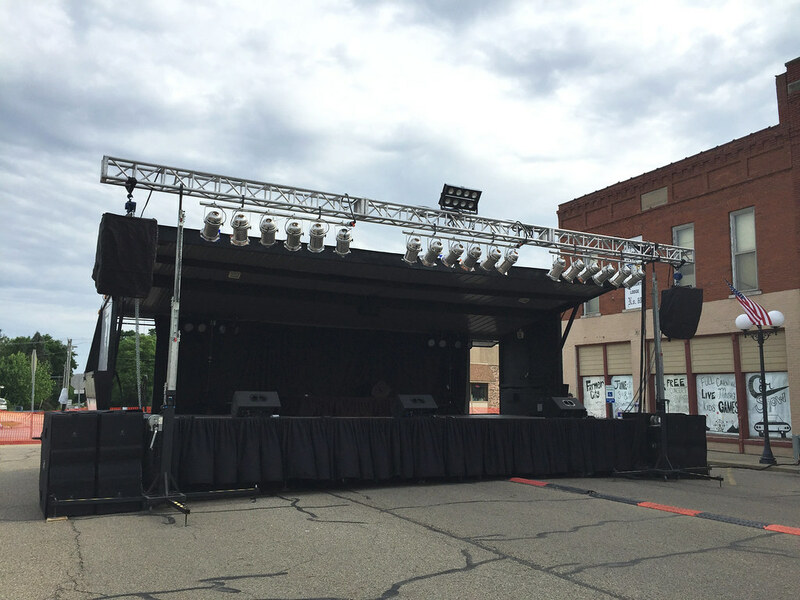 MMS Rentals and Productions can provide several sizes of Hydraulic stages suited to any size outdoor event.